Children's Chores - Little Country. Big Adventure. Elders call on children to run errands so much that an actual verb has been created to name the act. “Small-boying” or “small-girling” kids to buy items from a nearby shop where they can’t see over the counter or to carry a stool bigger than themselves is not uncommon in The Gambia. From a young age, children are meant to work. It is their duty to not only obey, but to consider it an honor to be told to do a job. Boys are not to perform housework, but they do help their fathers on the farm. In bigger towns, boys as young as 7 start apprenticeships with mechanics and tailors so they can learn the trade. But they still always have time to play. If you ask a Gambian girl what her favorite thing to do is, however, she will say sweeping and cooking. 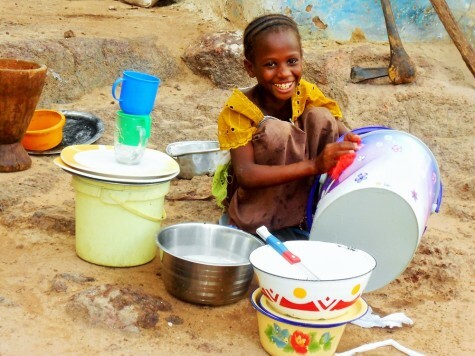 Chores take up so much of girls’ lives that they rarely have time to enjoy other activities. Work is all they know. From the time their hands can reach the top of a bucket placed on their head, girls are responsible for fetching water. My four-year-old sister helps the older girls in this task nearly every day. By age 7, washing dishes and sweeping are added to the list of a girl’s responsibilities. If a girl has a younger sibling, the baby is often tied to her back while she works. Some even bring their baby brothers and sisters to school. Pre-teens often go to the market to buy fish for lunch. Some girls go to the market to sell it. Teenage girls and young women are perhaps the busiest people in The Gambia. If they are lucky enough to still attend school, they also have to balance their studies with raising younger siblings, fetching water, cleaning, laundering clothes, ironing and cooking three daily meals for their entire family (which can be upwards of 20 people if the father has multiple wives). They wouldn’t dare ask their brothers to help. Although I’ve never heard a Gambian child complain, I’ve seen plenty work with toothless grins spread across their faces. Our class at Eva Wolfe is reading portions of your blog. We want to know if you are enjoying your time in the GAMBIA. How do you feel about the women working so hard at such a young age? Are there any machines or technology to help with chores or work load? We’d like to know why the young siblings are strapped to the backs of the girls while they do their chores. Do the villagers have pets or farm animals? We are in the middle of writing our letters back to our pen pals and will mail them next week. Thanks for reading! I am LOVING my time in The Gambia. 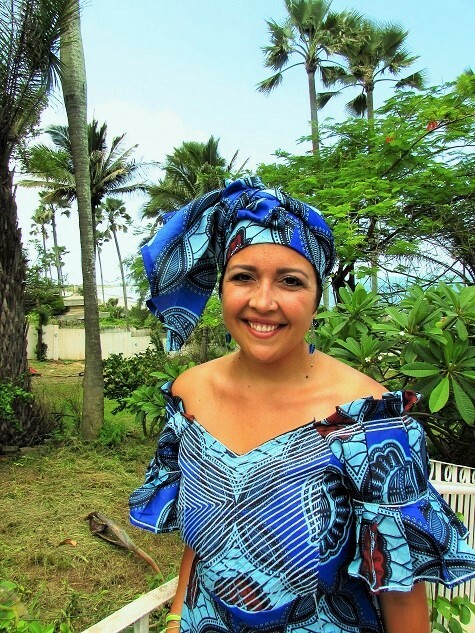 Gambians are quite possibly the best hosts on the planet and go out of their way to make guests feel like royalty even though they have so little to give. Everyone is so friendly and welcoming. It is difficult to watch the girls do so much work. I think about the childhood I had and wish they could also have what I experienced in America. Girls often strap their siblings to their back while doing chores so the smaller children don’t cry or get in the way. With so many young children, the mothers rely on the older kids to help. Luckily, in my village most of the children are still able to go to school. However, in many parts of the country, girls are kept home from school so they can take care of the family. Recently, the government made elementary education free for girls, so more and more are now able to attend. Before, families would only send their boys to get an education. There are some machines that help lighten the work load, but not many. My village has one machine that grounds up coos or peanuts (which are used in many sauces for the food), but you have to pay a small fee to use it. I know that because my village is located on the main road and closer to the urban region, it has more resources than many others. My village has electricity but most places don’t. People don’t really keep pets here because it would be just another mouth to feed. The animals people have are work animals. Many people have donkeys, which they use for transport or carrying heavy loads and many people are farmers and have cows, sheep, goats and chickens too. We are excited to receive your letters! Please let me know if you have any more questions!